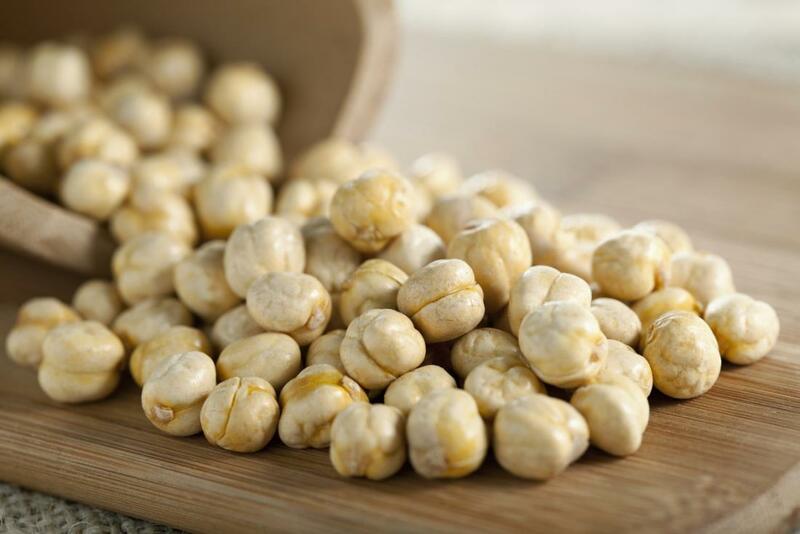 What do garbanzo beans, Bengal grams, and Egyptian peas have in common? They are all names for that oldest cultivated legume, the common chickpea. After countless hours spent alone in various dining halls on campus, studiously avoiding eye contact with our peers, the Flipside staff has become aware of a strange phenomenon concerning this legume. Nobody eats them. A brief talk with Sodexo led to Flipside reporters being assured that old, uneaten chickpeas are disposed of and replaced with fresh ones, but that left us wanting more answers. Namely, where do all the uneaten chickpeas go? Join us, as the Flipside investigates this elusive dining hall enigma. Meet Finnegan Hartley, SoC ’20, vegan, picky eater, and one of the rare chickpea enthusiasts on campus. “I’ll probably eat somewhere around 70-80 beans per meal,” reported Hartley in an interview, “fill up a bowl, add some salt, you can’t go wrong.” When asked about his effect on the seemingly endless stockpile of chickpeas, Hartley doubted his impact, “I mean, you have to understand they have vats of these things. I could fill up 2 or 3 good-sized Tupperwares and leave no trace. And I do. Believe you me.” It quickly became clear that Hartley, even 100 Hartleys, could not account for the entirety of Northwestern’s chickpea reserves. Leads were turning up nothing and several Flipside reporters had been banned from dining halls on campus for harassing staff and students. We knew we had to look past the dining halls and into the disposal process itself. Dumpsters turned up empty. Flipside staff spent hours wading through disposed pizza crusts, soggy chicken burgers, and mounds of hot cookie bar, but zero chickpeas were found. At this point, we were about to chalk it up to an anomaly. Perhaps a solar flare irradiated Northwestern’s chickpeas, causing them to degrade over time to more common legumes. This was the most likely explanation, until we received an anonymous email from a University of Chicago address. This source, who asked to be referred to as “Bean Boy” advised us to check not where the chickpeas were going, but where they were coming from. A bit of background: Northwestern lauds its student meal plans and vegetarian, vegan, kosher, and halal options. Many first-year students are suckered into believing their dining hall experience won’t consist mainly of couscous and chickpeas if they forego meat. We were fortunate enough to gain access to the receipts of one Sodexo order. Surprisingly, chickpeas made up over 80% of the cost of total food ordered for all of Northwestern’s dining halls, including meat. Yet, there was still no way to account for the volume consumed. All the Finnegan Hartleys, all the naïve first year vegans, and all the students mistakenly trying to find healthier options could not account for even 5% of the alleged consumption of chickpeas. But for all intents and purposes, they were being eaten, and fast. Where were the chickpeas coming from? Why did the school feel the need to order so many? The deeper we dove into the mystery, there only seemed to be more questions. The answer, it turned out, was a small unregistered cryptocurrency called BitBean, operating out of Qatar. For those unfamiliar with cryptocurrency, like Bitcoin, it is often difficult to run small, profitable operations as the cost of electricity often outweighs the profit gained by “mining” the Bitcoins. These coins are mined by having your computer solve complex algorithms, meaning a computer must run at full-power for long periods of time. So, imagine, if you would, an operation where one did not need to pay for the power to mine cryptocurrency as it is all generated in-house. This is what we stumbled upon. Our investigation can trace the roots of this chickpea mystery back to one graduate student in Qatar. Abdalelah Haroun, a PhD student in Computer Science, was sick of losing out to large-scale Bitcoin mining operations. In addition, he felt cheated by Northwestern Qatar campus’ lack of vegan options. So, he created an incentive for Northwestern to order more vegan food: BitBean. This small cryptocurrency operates not by “mining coins” but by ordering large quantities of chickpeas. As one’s computer inputs the details necessary to order the chickpeas, some computing power is used to solve complex algorithms related directly to chickpea futures investment. This way, Haroun could control both the price of his cryptocurrency and the chickpea market, making sure one did not inflate the other. The Evanston campus enters the picture when Morty catches wind of the unusual amount of chickpea orders originating from the Qatar campus. He quickly found out about BitBean and threatened Haroun with legal action if he did not cease tampering with university funds to create personal wealth. Instead, Haroun offered Morty a cut of the profits if he would add the computing power of the Evanston campus to increase the amount of BitBeans earned. Morty quickly found himself neck-deep in chickpeas, even creating a shell account so other university officials wouldn’t start to question where all this money is coming from and where it was going. The chickpeas themselves? Burned. The steam tunnels underneath Northwestern are now powered by vast quantities of uneaten chickpeas, producing the power that fuels Morty and Haroun’s frantic cryptocurrency operation. The bowls containing the chickpeas are actually time sensitive machines, opening up to an intricate pulley system after the dining halls close and transporting the uneaten chickpeas down into the furnaces. This leads us to our final, most important, question: how does this affect the Northwestern student body? To answer this, we turned to the one person on campus who actually seemed to like chickpeas, Finnegan Hartley. Months later, we sat down with Hartley again, revealing the details of our investigation and asking for an opinion. “Oh I don’t care,” claims Hartley, “I’m actually all about cauliflower now, and I’ve moved off campus anyway.” A seemingly innocent answer. Yet, on his way out of our meeting he crossed paths with none other than Morty. Just for an instant, their eyes met, and a knowing look was shared between the two. We leave this information with Northwestern’s student body. We don’t know how far BitBean has spread and which faculty are covering up Northwestern’s massive chickpea expenditures, but we do know two things for certain. It seems like there are more and more chickpeas in the dining halls every day. And nobody is eating the damn things.